Cetara Master Piano is pleased to announce the MASTER of pianist Federico Colli, winner of the Leeds 2012 award. 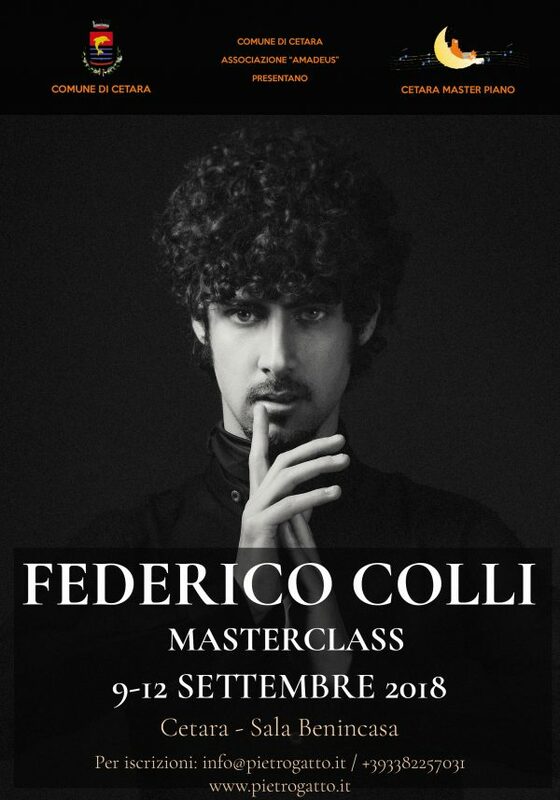 The Masterclass will be held from 9 to 12 September 2018 in Cetara at the BENINCASA hall. 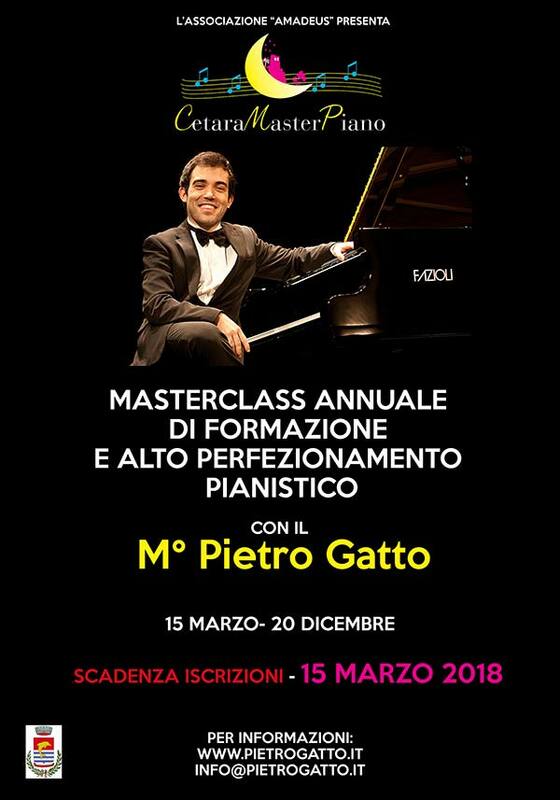 The annual Masterclass of advanced training and piano improvement is aimed at pianists aged 15 to 35.
preparation for exams for three-year and specialized degree courses for national and foreign institutions. Students can decide to register for the annual course or to attend individual meetings. The annual course includes 4 meetings of 120 minutes, (a weekly rate is recommended). It is possible, if there is a need, to add other meetings. The single Masterclass, on the other hand, is monthly and includes 3 meetings of 60 minutes each. Every 3 months there will be the opportunity to perform in class essays. Classes will be held in the M. Benincasa Theater of Cetara on a Yamaha C7 instrument. The participants of the annual course will be entitled to reduced prices to participate in the Masterclasses of Guest Artists, which will be announced during the year. The cost of the annual course (4 lessons of 120 minutes) is 200 euros per month. The cost of a single Masterclass (3 meetings of 60 minutes) is 120 euros.